Defined as a sustained elevation in blood pressure readings over a period of time. Whether you have diagnosed hypertension or have noticed the numbers slowly creeping up each time you check at the Drug store, naturopathic medicine has lots to offer in managing this condition. It is a multifaceted condition with a variety of treatment approaches. Often referred to as the ‘silent killer’, hypertension can be managed using a variety of dietary, lifestyle, botanical, and pharmaceutical treatments. This is a widespread problem. In 2013, according to Statistics Canada, 17.7% (5.3 million) Canadians aged 12 and older reported being diagnosed with high blood pressure, which was not a significant change since 2012. In 2013 the rate was higher for males than females ( http://www.statcan.gc.ca/ high blood pressure 2013). Hypertension is more common in obese individuals versus non-obese.Knowing this can guide treatment. 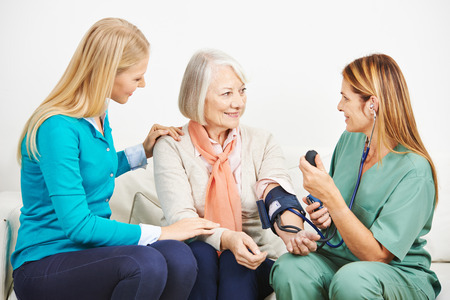 Increased blood pressure is considered a normal variant of aging, but it can be accelerated by lifestyle factors including diet, lack of exercise, smoking and alcohol, high uncontrolled emotional stress, diabetes, body composition and obesity, and genetic factors causing a predisposition to inflammation and issues with fat metabolism. Research suggests that for individuals with moderate hypertension and no end organ disease drugs may not significantly improve survival. Nutritional and lifestyle modifications appear to more broadly address the issue -- both direct blood pressure control and systemic benefit by decreasing depression and anxiety. Regular exercise and stress reduction techniques like meditation can have a profound impact on reducing blood pressure. Yoga, regular walking and cycling are great exercise for supporting healthy blood pressure. The sympathetic nervous system – the division responsible for ‘fight or flight’ and highly sensitive to stresses plays a key role in perpetuating hypertension. This is especially important in individuals with either pre-diabetes or kidney disease because in these conditions the sympatric nervous system is highly active. Clinically this means that the nervous system is imbalanced and needs to be addressed. While there are medications that help reduce the highly active nervous system and its detrimental affects, adjunct lifestyle modifications are also implemented. Stress reduction techniques including meditation, exercise, hypnotherapy are available, no long term studies exist to see if they actually control sympathetic activity. However, there is no doubt they can take the psychological stress off which will benefit the body. 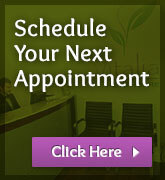 The beauty of naturopathic medicine is the manner in which treatments are prescribed. Trained in a diverse set of modalities, naturopathic physicians tend to start with less intensive and invasive treatments. Nutrition for blood pressure control is two-fold. First, there are specific diets and foods that directly impact blood pressure values. Second, there are general dietary changes that can alleviate stress and inflammation on the body, which indirectly affect blood pressure. In general, a low sodium diet, relatively high potassium intake, fresh food that contain plenty of polyphenols and antioxidants as well as staying away from highly processed foods tends to help protect and heal the heart and vasculature. Direct approaches include increasing intake of foods with specific types of sulfur compounds, such as garlic, onions, and leek. These tend to increase chemicals such as nitric oxide that help the vessels stay dilated and protect them from free radical damage.Watermelon, walnuts, chocolate also help increase nitric oxide. Antioxidant molecules in supplement form or foods moderate hypertension by reducing free radicals - an aspect of the pathology of high blood pressure. A simple test to determine if blood pressure may respond to increased antioxidant intake is the IV vitamin C test. If blood pressure drops after an infusion of Vitamin C then high oxidative stress (high free radicals) may be part of the problem and antioxidant supplementation warranted. Research reveals that supplementing with more than 2 grams per day of fish oils can benefit those with moderate to high blood pressure. Best results when given in concert with dietary and exercise regimes. Antioxidant molecules can also be supplemented in higher concentrations that available with food. General life style considerations including diet, exercise, supplementation and certain herbs may help benefit those with moderate hypertension. Be aware that those with history or ongoing diabetes, kidney disease, heart disease or certain brain diseases, long-term studies reveal the importance of certain drugs, especially ACE inhibitors, to dramatically improve patient outcomes.In these more complex cases, it is likely a combination of pharmacology and lifestyle modification will have the best outcomes. Naturopathic doctors have a vast variety of tools at their disposal to address this multifaceted condition. The beauty of naturopathic medicine is that naturopathic doctors address the individual, taking full inventory of all aspects of a person’s lifestyle and health. There is no black and white solution. Whatever combination of modalities, whether it be gentle shifts in diet and exercise or integrating natural therapies with pharmaceuticals, a naturopathic doctor will tailor their approach to the needs of the patient. Call us today to schedule an appointment with one of our naturopathic doctors if you wish to take an individualized approach to managing hypertension. Campese, VM,. Et al. Hypertension in renal parenchymal disease: Why is it so resistant to treatment? Kidney International (2006) 69, 967-973. Stenvinkel, P., et al. Emerging Biomarkers for Evaluating Cardiovascular Risk in the Chronic Kidney Disease Patient: How do new pieces fit into the Uremic puzzle. Clin J Am Nephrol 3: 505-521, 2008. Nielsen, F. et al. Plasma malondialdehyde as biomarker for oxidative stress: reference interval and effect of life-style factors. Clinical Chemistry 43: 1209-1214, 1997. Parildar, M. et al. Oxidative stress and hypertension: Possibility of hypertension therapy with antioxidants. J Res Med Sci 2014 Apr; 19(4): 358-367. Nitric oxide and Oxidative stress in atherosclerotic renovascular hypertension: effects of endovascular treatment. J Vasc Interv Radiol July 1, 2003; 14(7):887-892. Nistala, R. et al. Redox control of renal function and hypertension. Antioxidants and Redox signaling, Vol. 10 (12), 2008. Paravicini,TM, et al. NADPH oxidases, reactive oxygen species, and hypertension: clinical implications and therapeutic Possibilities. Diabetes care. 2008 Feb; 31 Suppl 2:S170-180. Montezano, AC. et al. Molecular mechanisms of hypertension- reactive oxygen species and antioxidants: a basic science update for the clinician. Can J Cardiol. 2012 May;28(3): 288-295. Pueyo, ME., et al. Angiotensin II stimulates Endothelial vascular cell adhesion molecule-1 via nuclear factor-kB activation induced by intracellular oxidative stress. Arteriosclerosis, Thrombosis, and vascular Biology. 2000;20:645-651. Abdulrahman, K. et al. Molecular Mechanisms of Angiotensin II-mediated mitochondrial dysfunction, Linking mitochondrial oxidative damage and vascular endothelial dysfunction. Circ Res. 2008;102:488-496. Grassi, G. et al. Sympathetic nervous system: role in hypertension and in chronic kidney disease. Curr opinion nephrol Hypertens. 2012, Jan; 21(1): 46-51.